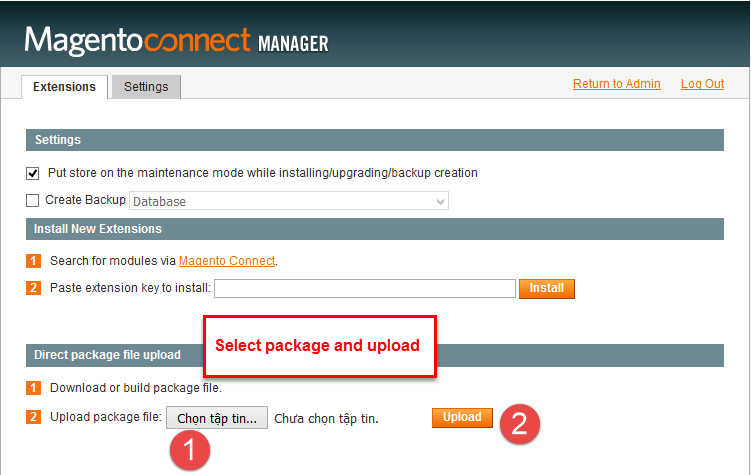 This guide will help you install SM Accordion Slider – Version 1.0.0 step by step. 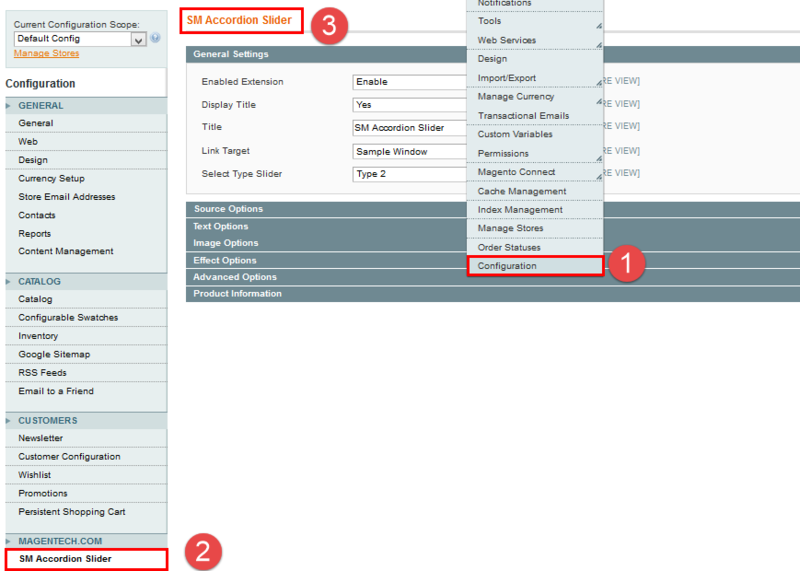 After installing, go to System -> Configuration and find SM Accordion Slider (in the left of column) to configure. 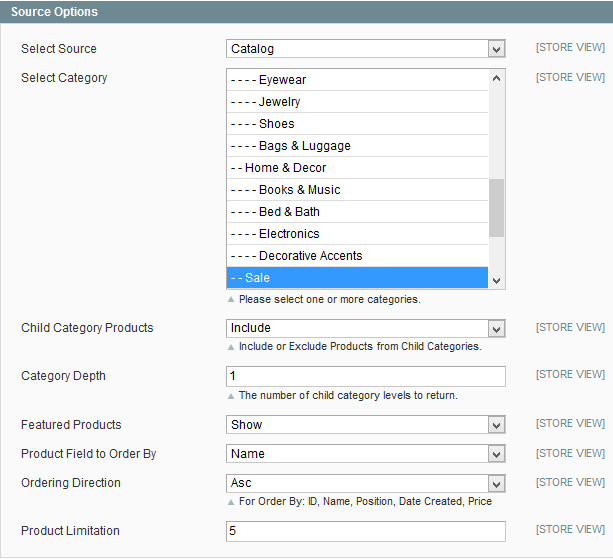 Select Source – Allow choose type of Product Source: Catalog/Media/Product IDs to Exclude. 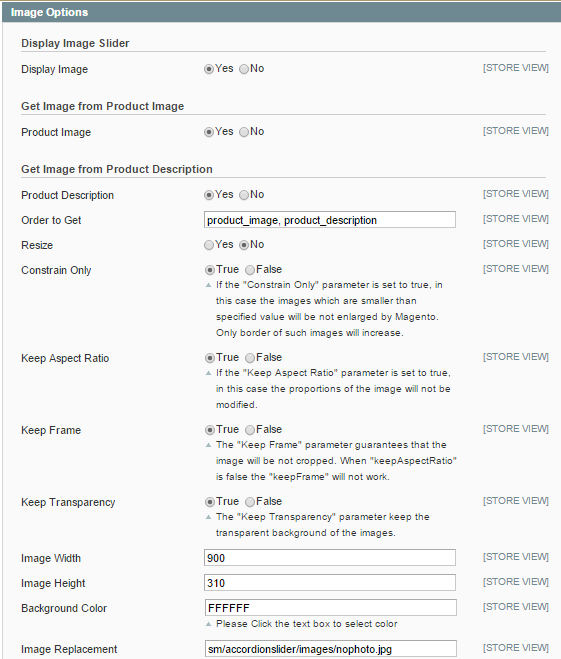 Display Description – Allow to display description of product OR not.. Display Image – Allow to display image of slider or Not. Pause On Hover – Allow to Stop effects when users hover Or not. Starting Slide – Allow to set page that is displayed at first when you run slideshow. Time out – Allow to set time between each slide in milliseconds. 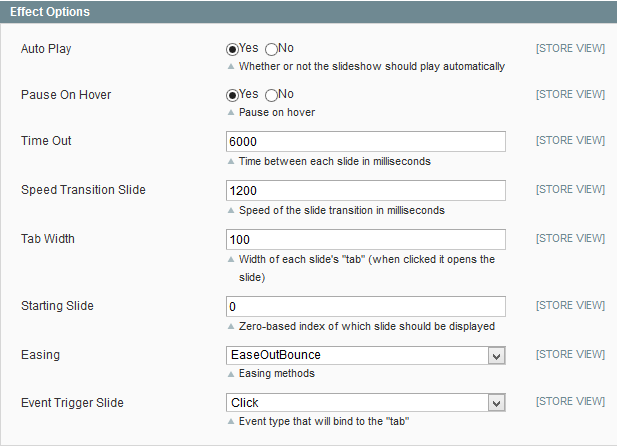 Speed Transition Slide – Allow to set speed of the slide transition in milliseconds. Tab Width – Allow to set width of each slide’s “tab” (when clicked it opens the slide). Easing – Allow to choose effect . 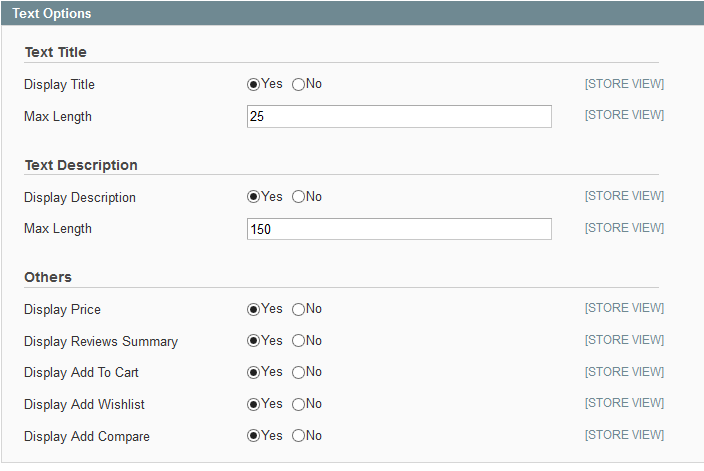 Event Trigger Slide – Allow to choose event type that will bind to the “tab”.